Happy Spring! 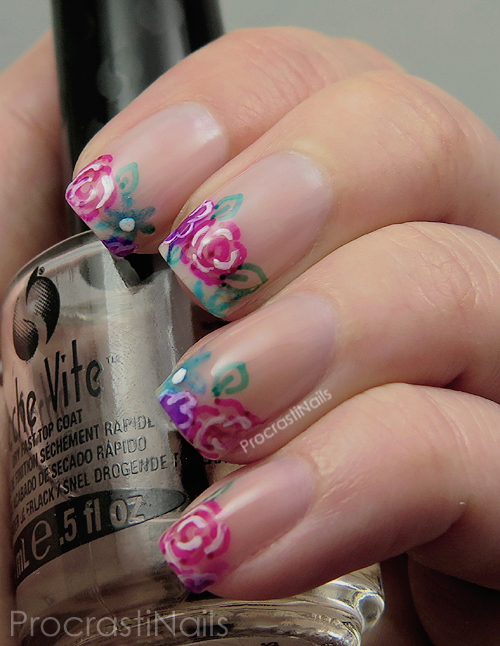 :) For today's post I'm sharing a mani that actually started out as just a doodle! I picked up some new sharpies at the craft store and when I got home I decided I wanted to play with them. This is what I ended up with, and I'm super happy with it. I wore this look for almost a whole week! That's a record for me, haha! Check under the cut for more info on what I used to put this look together! 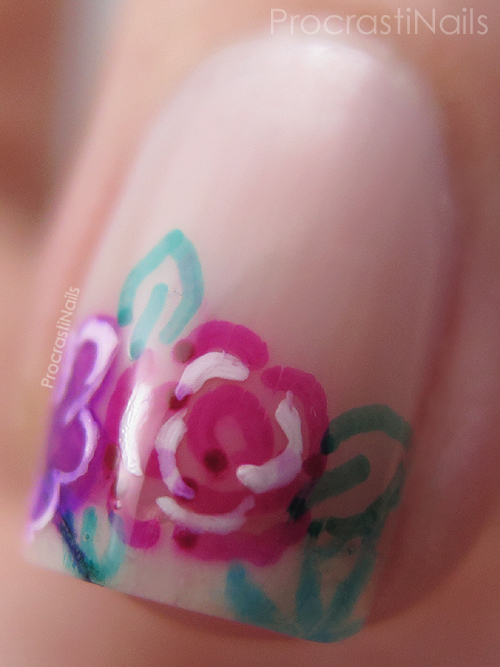 Negative space and colourful flowers... What could be better! For this look I started off with two coats of Duri Rejuvacote which is a nail strengthener I love that tints your nails ever so slightly pink. 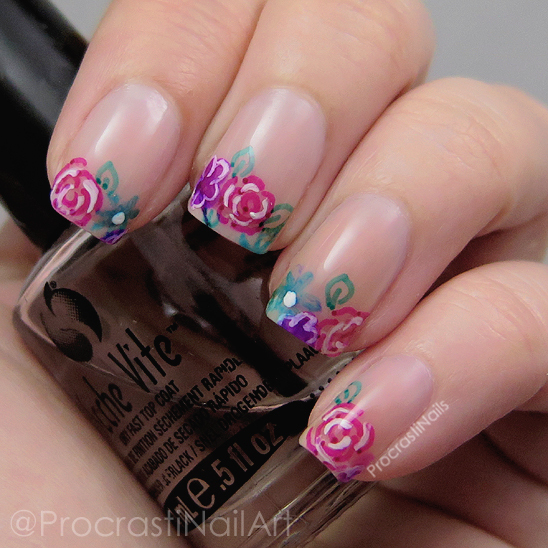 When it was dry I doodled some flowers on my nails with pink, purple and blue fine-tipped sharpies, and then added some green leaves after. I did some white detailing with acrylic paint to finish it off. Seal it with some Seche Vite Top Coat and you're good to go! So cute and so fun! I love all the components of this look and I hope you do, too! Let me know what you think, and before you go make sure to check out the other looks put together for this month's Hobby Polish Bloggers Linkup below! Your sharpie flowers look pretty great! This looks so nice - very calming! This is so delicate and lovely! You did a beautiful job. this is so pretty! I love negative space.